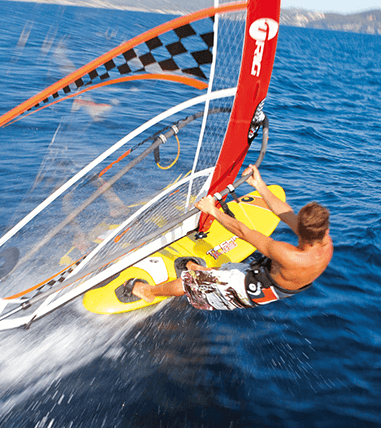 Our club is certified « Point Location FFV », which is a token of quality in terms of nautical equipment rental. 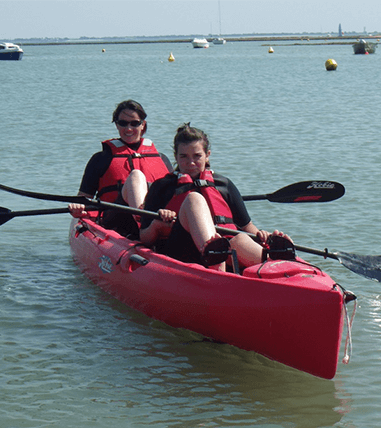 Depending on the weather and your skill level, you can rent catamarans, dinghies, windsurf boards, Paddle-Boards or Kayaks, to be used on our water spot. We provide you with a wetsuit, a vest, a harness, and water shoes. You can book 1, 2 or 3 hours of supervised rental, and if you sail regularly we offer 5 or 10 hour packages. The sailing area is displayed at the club. It is supervised, and assistance is provided if needed. 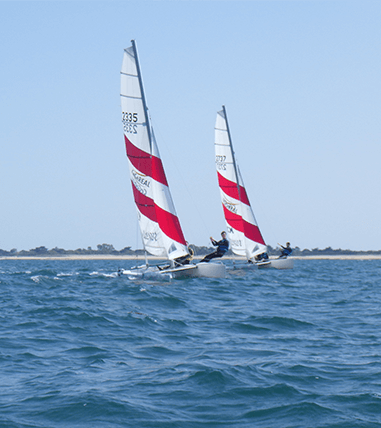 Our Point Location FFV puts at your disposal catamarans of 15 to 18 feet, a double handed dinghy « Booxy », Starboards and Paddleboards, in addition to the fleet of the school, which is also available for rental outside lesson schedules. 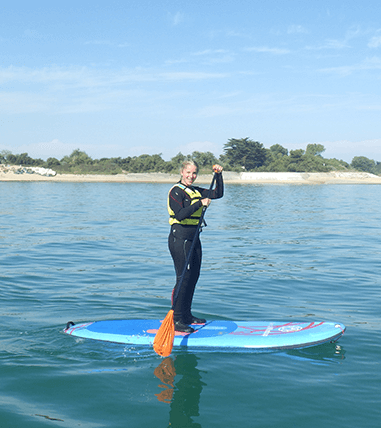 If you wish to improve your skills and enjoy at the most your time spent on water, private lessons are also available. Book your rental directly on site, for 1, 2 or 3 hours. These 5 or 10 hours passes are available from March to October, and are suited to your needs.